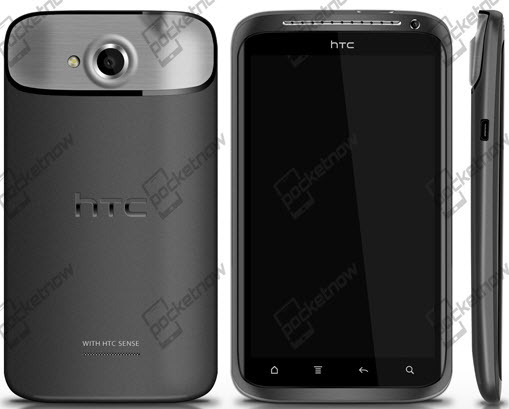 More details have come through on the HTC Edge, a rumored 4.7-inch 720p Android smartphone and the first to sport a quad-core Tegra 3 processor. Well it seems that the 720p HD display is not just any plain LCD but rather an S-LCD with optical lamination. Usually, there is a gap between the LCD display and the cover glass. Optical lamination eliminates that gap by bonding the screen to the glass, so that the screen appears to be floating on the surface of the device, making the touch experience better by making it more direct. This also improves the clarity and sharpness of the display by eliminating light refraction, otherwise caused by the gap; dust under your screen also becomes history. The same technology was used for the iPhone 4 and iPhone 4S’ amazing display, but obviously here we’re talking about a 4.7-inch screen rather than a 3.5-inch one.